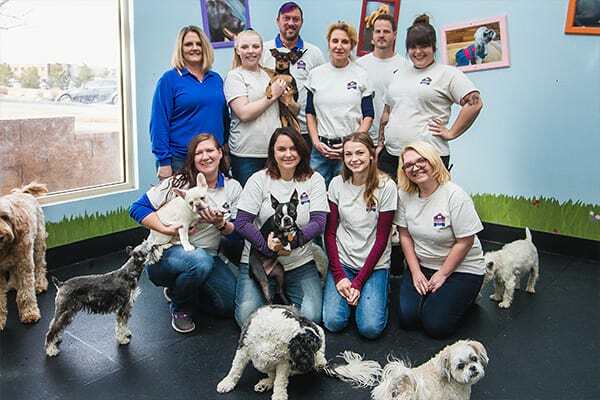 Dugan's Dog House is a luxury Dog Boarding and Dog Daycare provider in Aurora, CO. With unrestricted check-in and check-out times during lobby hours, dropping off your dog is quick and easy! We even have a wonderful complimentary coffee bar for our parents! We conveniently provide curbside service in front of our lobby. Simply notify our staff if your pup needs breakfast, lunch or dinner served that day or whether you would like them to have spa services and we will take care of it! Most regular dog daycare clients keep food at Dugan's so we can provide their pets with a feeding schedule that pup is accustomed to at home. You can be sure that after every meal, your dog has ample time to digest food before play begins.